Q. How do I manage categories? You are here: Home / LifeTopix / Common Questions / Q. How do I manage categories? 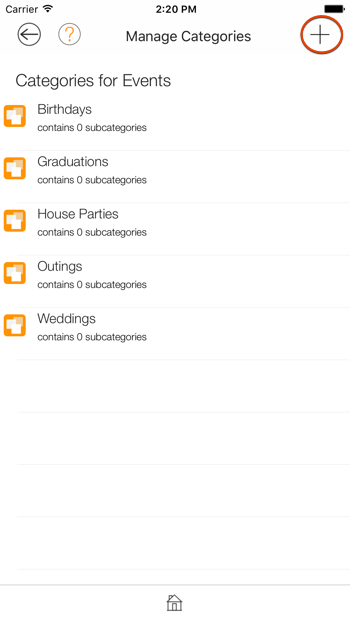 Categories are like Folders, but much more powerful, hierarchical and customizable. 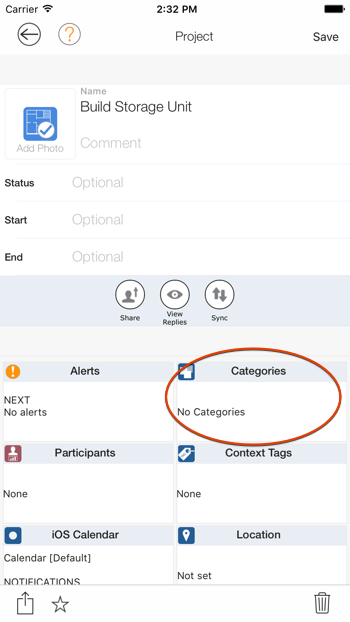 Categories are scoped for use within a topic type – project categories, service categories, note categories, etc. Here is a link to more information about how to use categories: Q. How Do I Use Categories? How Do I Create A New Category From Settings? 2.) Select the type of category you want to create. 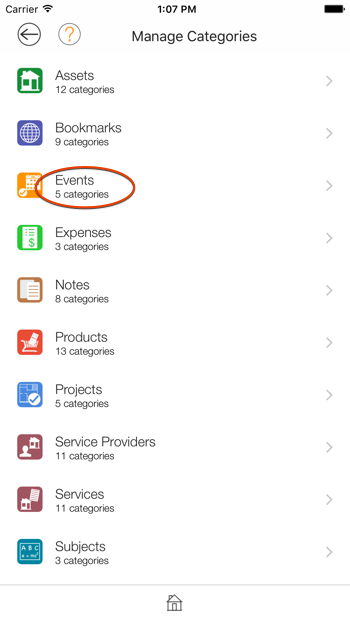 In this example we will create a new event category. 3.) 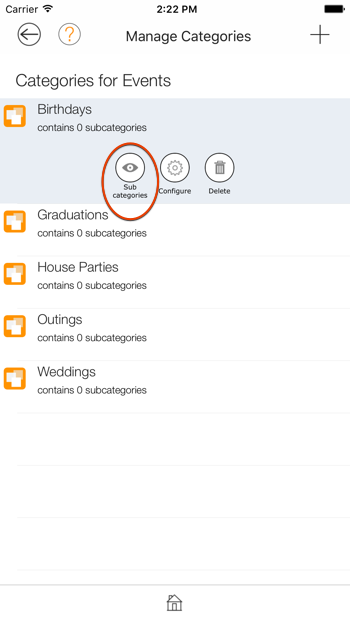 Since categories are hierarchical you can either create a new category directly under the event category or you can create it as a subcategory of an existing category. 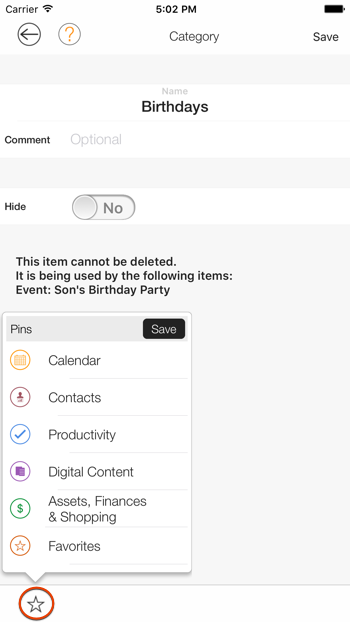 Tap the “+” icon at the top right of the screen to add a category directly under the event category. 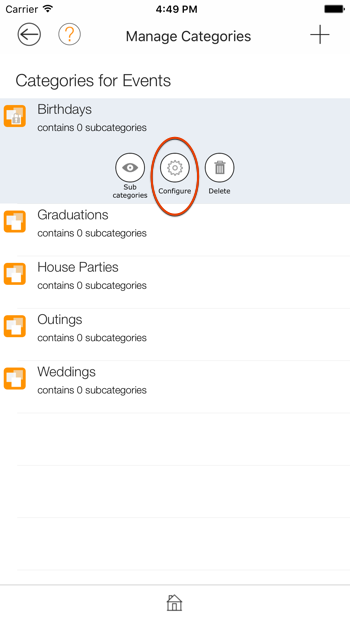 To add the category under an existing category tap on a category and then tap on the Subcategories icon to view its subcategories. 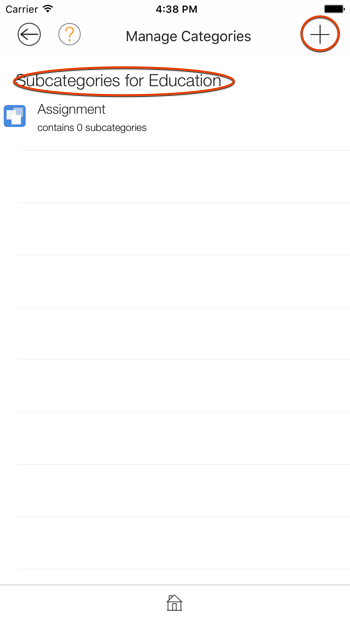 From this view you can tap the “+” icon located at the top right of the screen to add a new subcategory under Birthdays in this example. Tapping on the “+” icon will present the category detail. Enter a name and tap the “Save” button to create the new category. 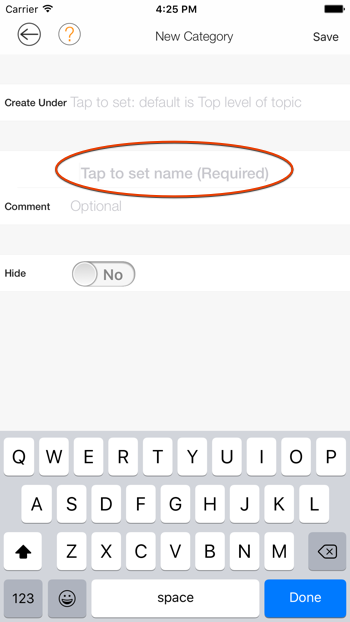 You can also tap on the Create Under to set the parent category. How Do I Create A New Category From A Detail View? 1.) 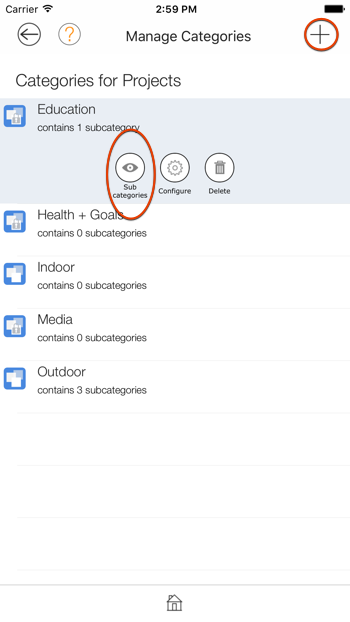 You can create a category from detail views by opening the detail view and tapping on the “Categories” tile. In this example we will use a project. 2.) Tapping on the “Categories” tile will present you with the Category Picker view. 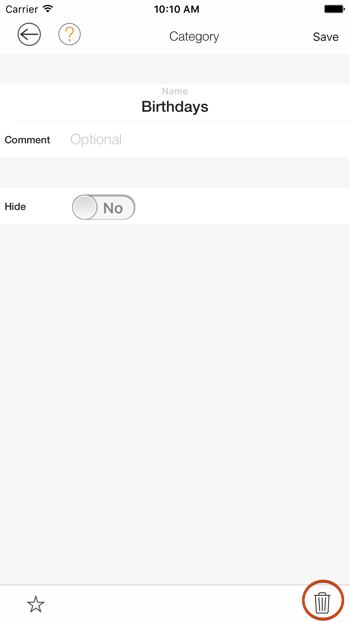 From here you can add a new category by tapping on the “+” icon located at the bottom left of the screen. 3.) Tapping on the “+” icon will present you with the Category detail where you can provide a name and tap the “Save” button when done. You will notice the Create Under displays “default is Top level of topic”. This simply means that the category is not a subcategory of another category. You can tap on it to set the parent category if you wish. How Do I Create A New Category From An Accordion List View? 1.) 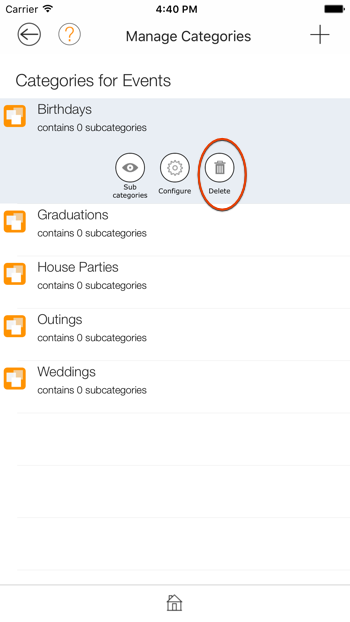 Accordion views in our app allow you to view the items in the list by various groupings. If the “Category” is an option in the grouping then when you select this grouping you will see a “Manage Categories” button appear. 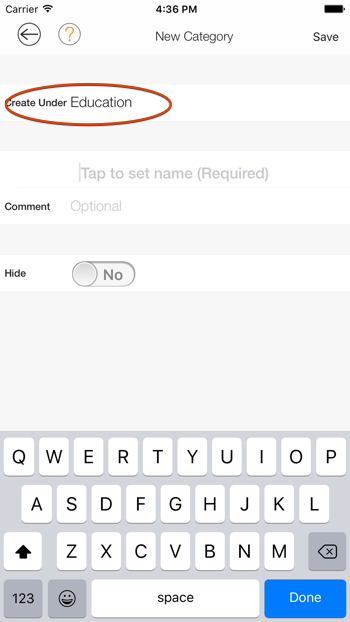 Tapping on this button will present you with a view for managing the categories for the type. 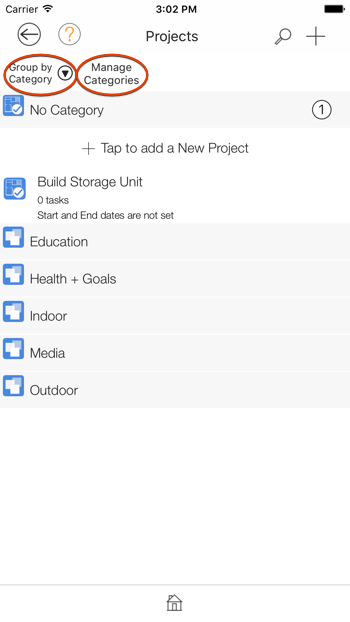 For example, in this example we will look at how to create a new category from a project list. 2.) Tapping on the “+” icon located at the top right of the screen will present you with the detail for creating the category. 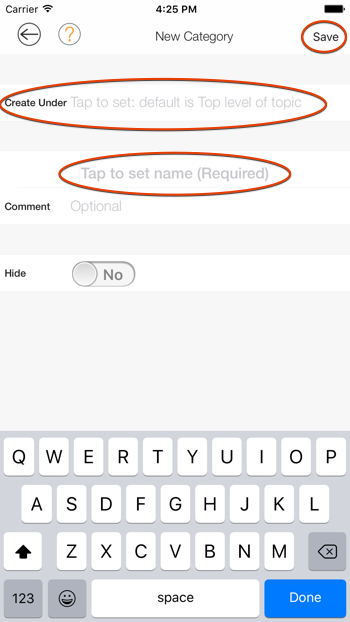 Tapping on a category in the list will present the list of action button for the category where you can tap on “Subcategories” to view the categories subcategories. 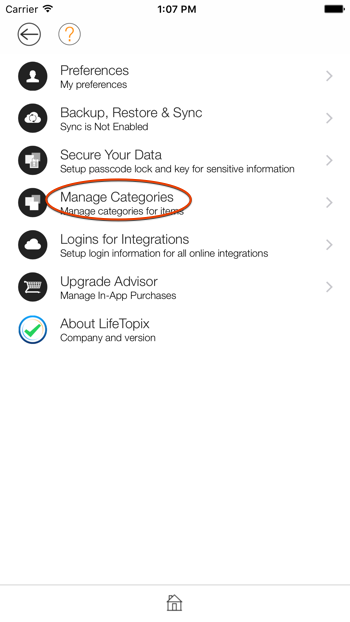 From here you can create a new category under the selected category (Parent Category). Here you can see we tapped on the Education subcategories and created a new category under it. 3.) Tap on the category you want to delete. Tap on the “Delete” icon to delete the category. 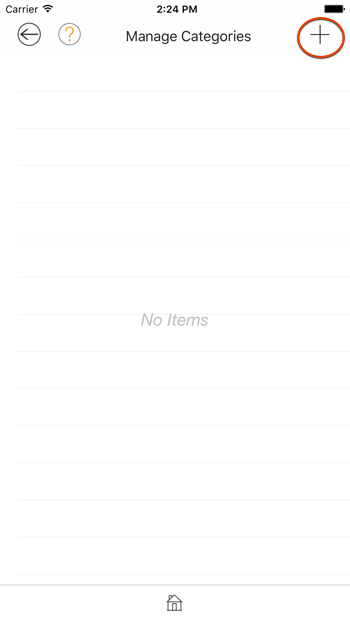 Alternatively, you can delete a category by opening the category detail and tapping on the delete icon located at the lower right of the screen. 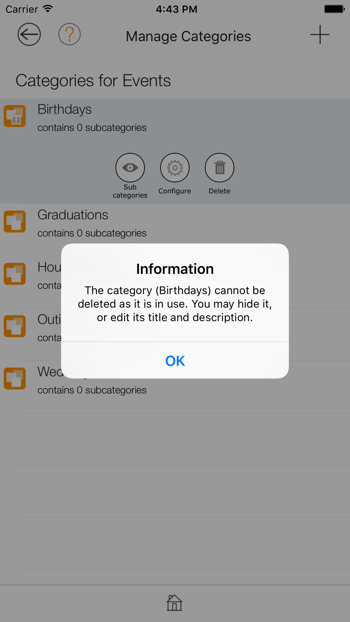 NOTE: A category cannot be deleted if it has been assigned as a category to an item. How Do I Hide A Category? 3.) Tap on the category you want to hide. 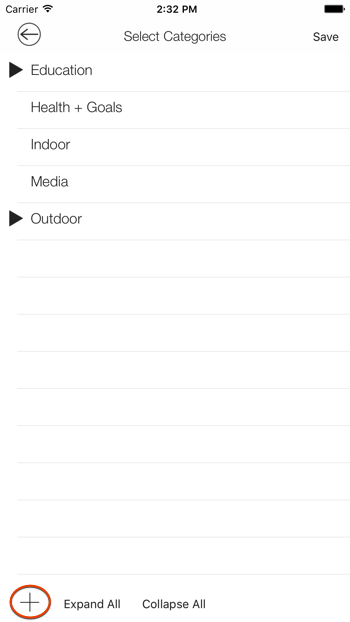 Tap on the “Configure” icon to open the category’s detail view. 4.) 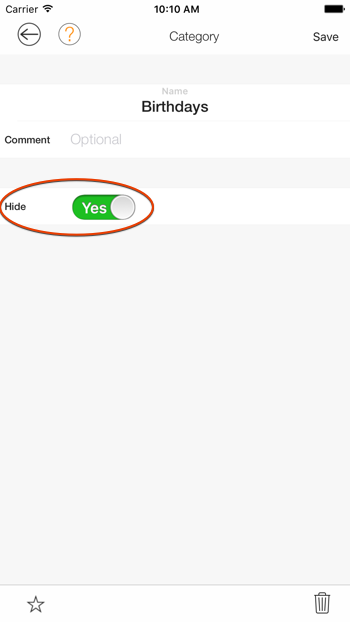 Slide the control to Yes to hide the category. Tap the “Save” button when you are done. How Do I Pin/UnPin Categories To A Dashboard Card? 4.) Tap on the Pin icon (star icon) located at the lower left of the screen. If you are using the Modern Dashboard you will get a popup with the list of cards you can pin the category to. If you are using the Classic Dashboard the category will be pinned to the Favorites view. 5.) Once pinned the Pin icon will be have a solid color.